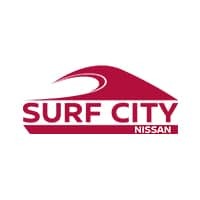 The Parts Department at Surf City Nissan maintains a comprehensive inventory of high quality genuine Nissan OEM parts. Our highly knowledgeable staff is here to answer your parts inquiries. Shop our online store for parts and accessories to help maintain or upgrade your Nissan. Make sure you check our Parts Specials page for bonus offers and savings on genuine Nissan parts. We’re looking forward to helping you improve or maintain your beloved Nissan vehicle. *Installation fees and tax not included. *See dealer for details. Over the Counter Parts only, labor not included. *Not all models qualify. Cannot be combined with other offers. Over the Counter Parts only, labor not included.